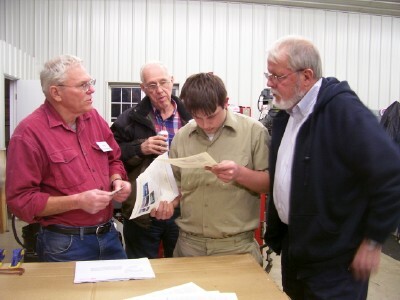 The February meeting, led by Bob Torbet, was held in Jack Putnam's shop with 19 members and guests in attendance. Everyone introduced themselves with thier name and the type of cars that they have. I've elected to post some pictures of the people attending the meeting. In this way, those that have been absent for a while will not be caught completely off guard when they walk into a meeting and don't recognize any of the faces. Bob thanked everyone for coming. The treasurer's report was given and accepted. It was noted that we had a total of 24 members in 2008. Election of officers took place: and as luck would have it, the officers have remained the same from last year. Surprise!!!! In Jamboree news, Jim reminded everyone that the host hotel for the Tiffin based tour would be the Holiday Inn Express. The Hampton Inn will still be one of the overflow hotels. We continue to discuss some of the places that we would like to go. A list and plea for volunteers to work on many of the activities was presented. We voted on and agreed to have a Roosevelt impersonator be at some of the Jamboree events. Bob will make the contact to get the gentleman to attend. It has also been suggested that we have someone take pictures of the event. This has been a popular addition to the tour in past years. Jack is in the process of installing a top on this beautiful touring car. He has painstakingly laid out the bows in just the right configuration, using all of the dimensional data available today. The top material was bought from a reputable dealer and it just does not fit properly. 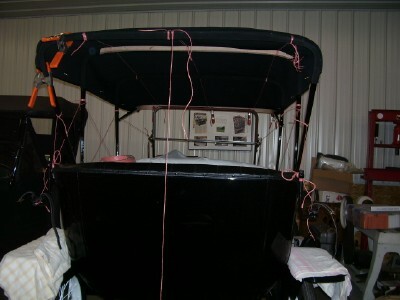 There just is not enough material to completely cover all of the bows to the right spots. It just will not stretch that far. It is a good thing that there isn't a deadline on this project. Conversations continue with the supplier to come to some type of agreement as to where to go from here. We all wish Jack the best of luck and sympathize with his plight. The Model T is a very personal kind of car. They're all very much alike; but at the same time, very different in their quirks and idiosyncrasies. Every car has its own personality for us to discover, one piece at a time. 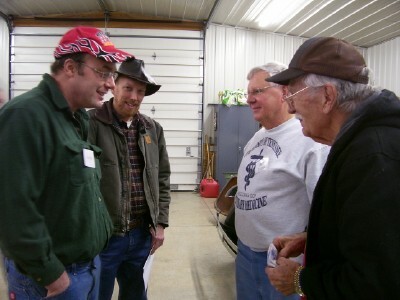 The sharing of ideas is one of the strong points of attending the local Model T Ford Club of Northwest Ohio meetings. Not one of us is as smart or knowledgeable as the collective group. By bringing information to share with the group, we all get just a little smarter as we go. The experiences gained by hundreds of hours spent working on and driving Model T's can never be matched by just reading an internet forum or car magazine. 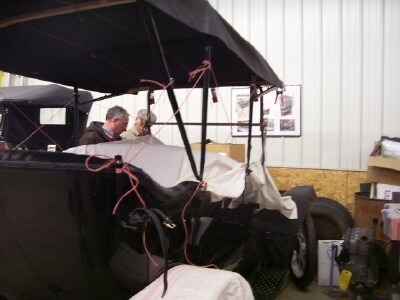 Story telling has become a way of life for most of us who have fallen into the world of antique cars. There is a camaraderie that exists between people who havc an appreciation of the past. In some cases "story telling" is how we express the connection that we share. The younger members would be wise to listen closely to the older members of the group. There are a lot of great stories to be had and a limited amout of time to soak it all in.